The Railway Woodlands Guesthouse is a perfect venue for yoga and other reflective workshops. It has several large, light, airy rooms, a large kitchen and a charming courtyard area. All are ideal for meditative workshops. 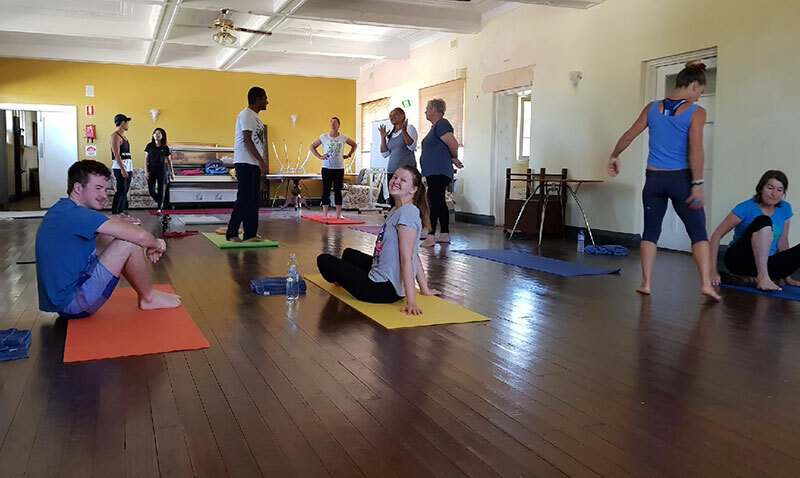 The yoga workshops at The Railway Woodlands Guesthouse have been a fantastic success. Norseman is blessed to have a very experienced and enthusiastic yoga teacher, Olenna Connell. Olenna runs regular yoga classes at the guesthouse on Sunday mornings and pilates classes on Wednesday evenings. She is also available for private classes (email: olenna@happyseedyogalife.com.au). The owner of The Railway Woodlands Guesthouse, Therese Wade, has also trained as a hatha yoga teacher in Australia and India. She taught for many years before taking on the motel business. Now she assists Olenna with the yoga workshops, providing expertise in pranayama and yoga philosophy. We have also been able to draw on experts in astronomy and the local ecology to provide a rich woodland yoga experience. CONTACT US for information on our classes, workshops and upcoming retreats. Yoga is an ancient philosophy whose goal is self realisation or enlightenment. Most modern forms belong to the broad school of Hatha yoga. Emphasis is placed on physical practices that aim to integrate body, mind and spirit. Raja yoga is the other popular form which focuses on transcending the physical, largely through meditation and breathing practices. 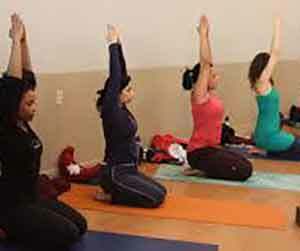 Our workshops promote an understanding of yoga and its many benefits as well as enjoyable classes and great meals. 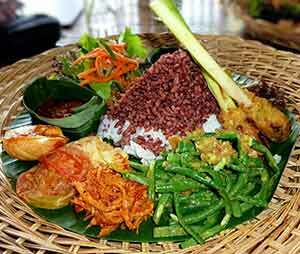 Our retreats are reknowned for quality yoga practice, enduring new friendships and delicious vegetarian food.